Collect lead data anywhere and seamlessly add new contacts to your Salesforce org. Need a fast, easy way to gather contact details from leads and send them to Salesforce? 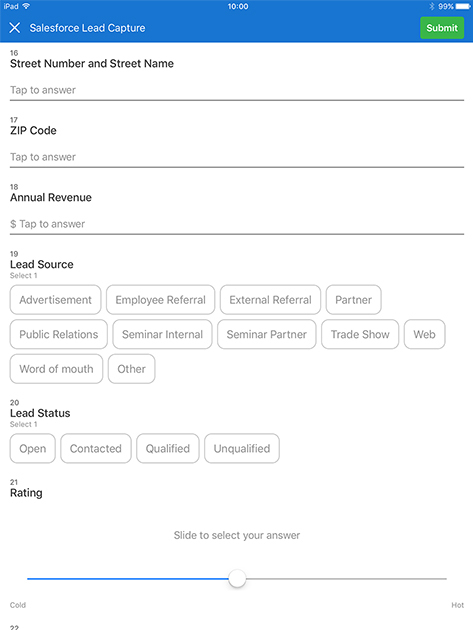 This Salesforce lead capture template can get you the information you need to turn leads into sticky customers. Use the data you collect to build your pipeline, prioritize high-value opportunities, and monitor successes and failures. 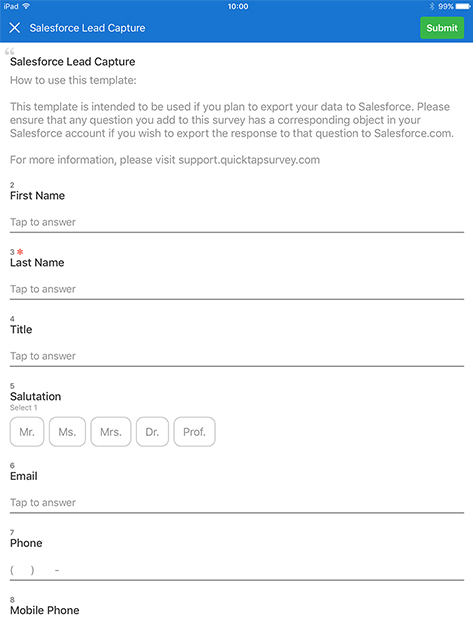 Connect your survey to Salesforce to update your org with new leads and contacts. Setup is fast and easy! Easily use this Salesforce lead capture template offline. Your data will sync when you reconnect to the web. Don't waste time on low-quality leads. 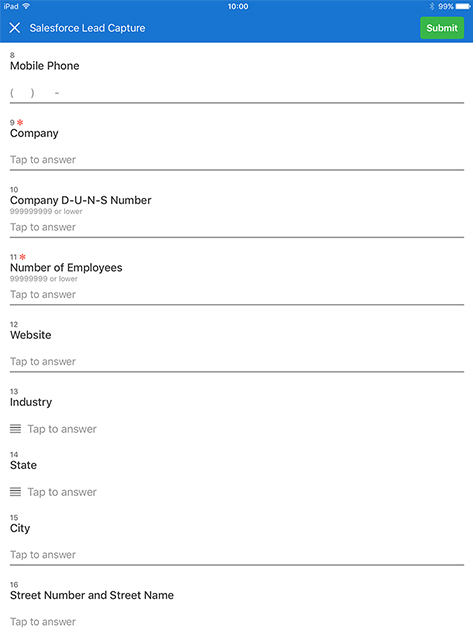 Assign scores to survey answers to quickly identify your top prospects. Turn your iOS or Android tablet into an interactive data kiosk to collect leads at your event or trade show booth. Start using this Salesforce lead capture template today by signing up for a free trial.